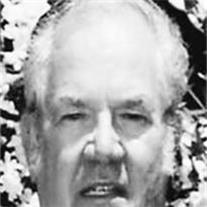 Chester Lee Smith, 70, of Mesa, passed away Tuesday, January 26, 2010. He was born July 19, 1939, to Marion and Harriet Griggeory Smith in Waynesville, MO. After joining the Navy in 1957, and having visited family in Arizona, he persuaded his mother, brother and sister to move to Mesa. Chester worked in the telecommunication field and retired from AT&T in 1999. He spent over 30 yrs as a volunteer and President of the Mesa Girl’s Softball League. He served on the Mesa Parks Board and was named the 1993 recipient of the Award of Excellence by the Arizona Parks and Recreation Association at the group’s 43rd annual conference. Chester is survived by his wife of over 49 years Diana (Young); three children Shelley Reid (Eric), Mark Smith (Lisa), and Connie Chastain (Kevin); nine grandchildren; sister Harriet and brother George. Visitation will be held Monday, February 1, 6:00-8:00 pm with the funeral Tuesday February 2, at 10:00 am at Bunker’s Garden Chapel, 33 N. Centennial Way, Mesa, AZ 85201.